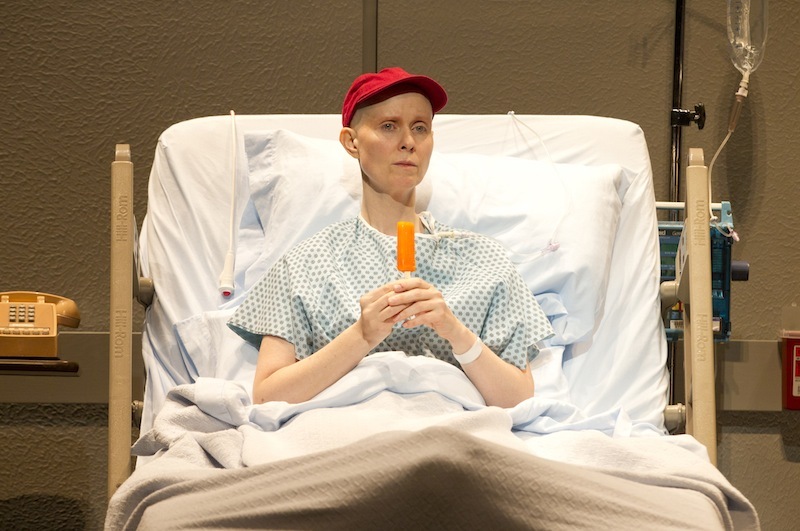 The medical horror story of dealing with cancer is starkly depicted on stage in the Broadway debut of Wit. 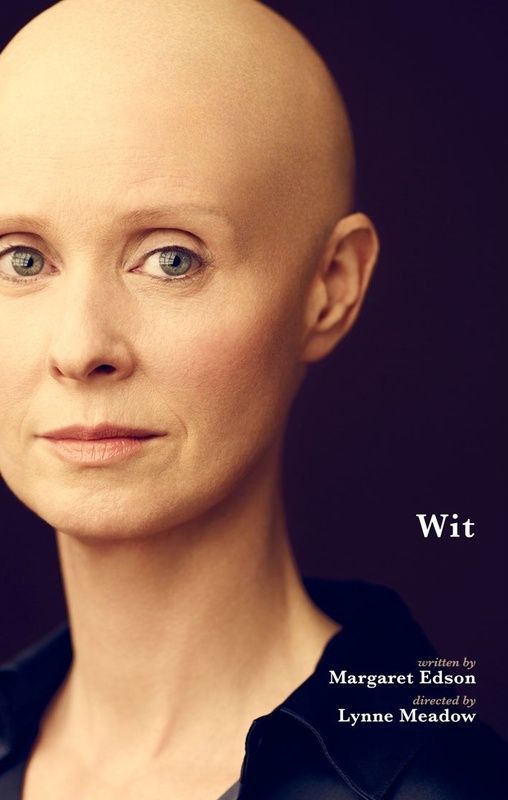 Cynthia Nixon stars as Vivian Bearing, a brilliant college professor, specializing in 17th century British poetry, who is being treated for stage-four metastatic ovarian cancer. The Pulitzer Prize-winning play by Margaret Edson follows Vivian through her aggressive chemotherapy, as well as her clashes with hospital bedside manner and her own pride. Nixon’s portrayal of Vivian is excellently married with Edson’s words. She effectively conveys the confusion and struggle with having cancer—a tremendous task, since some believe only those who have suffered from it fully understand it. It would be difficult to find someone not affected by cancer, either through knowing someone close who has had it or being diagnosed with it themselves. Yet with such a serious condition, it is easy for those who don’t have it to become isolated from those who do, based on lack of understanding. In society, we discover someone has cancer and we wish them well, support them, and encourage them to endure the prescribed treatment and get better. Yet there is no way to fully comprehend what they are going through. Nixon’s raw performance makes a significant dent on this subject. Despite eloquent prose about how cancer has altered her life and the way the medical uncertainties of her condition conflict with the educational certainties that she’s enjoyed until this point in her life, the audience can only understand Vivian’s struggle to an extent. That is until the play’s final third when Nixon writhes in a hospital bed, shrieking in pain. Nixon’s screams send shivers through the house of the Samuel J. Friedman Theatre. It’s disturbing enough to want to walk out, releasing from the torture this woman is enduring. However, it wouldn’t feel right, as Vivian is stuck on the stage, unable to escape the agony. “There is cancer eating away at my goddamn bones, and I did not know there could be such pain on this earth,” Vivian yells. As startling as it is, Nixon’s performance is haunting enough to give the strongest window into the realities of cancer I have ever seen. The horror of Nixon’s performance serves as an invaluable reminder for the importance of cancer awareness. Wit student rush policy: Up to two tickets per person may be purchased for $27 each when the box office opens. Cynthia Nixon is truly, truly amazing here. It’s not a role that I have ever seen her play and I was really amazed by her talent. Her portrayal of Vivian as a staunch, harsh professor is believable and ultimately heart-breaking as you see this powerful, matter-of-fact woman deal with her deteriorating condition. I loved it.